Become a Coastal Steward with your Classroom or Youth Group! Are you looking for service-learning activities for your students? Do you want to foster community responsibility at your school? Do you sponsor an environmental club or scout troop that wants to make a difference? Your students can become a Coastal Stewards by pledging to improve our coastal environment. A Pledge Sheet of activities is available that are particularly suited to students and the classroom. In addition to the Pledge Sheet, there is further information and background on each of the pledge activities, explaining why taking these steps helps to protect and preserve our coastal and marine resources, and providing ways to learn more. If you'd like more information after downloading the materials below, or if you'd like a hard copy mailed to you, please email coast4u@coastal.ca.gov or call (800)Coast-4U. 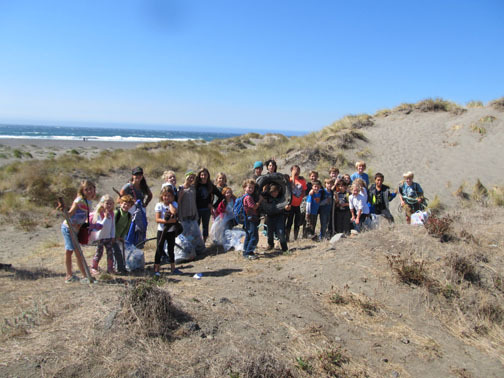 "The K-2nd grades class at Mattole School spent the year learning about coastal stewardship. They learned about the problem of marine debris by watching the trash troll [video] and playing a marine feeding game. 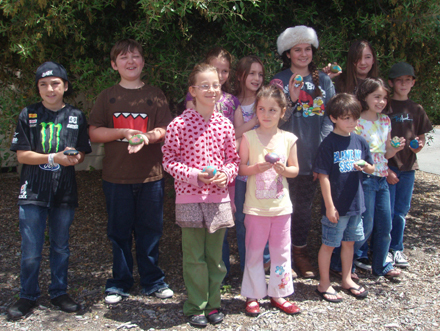 They followed up by participating in the California Coastal Cleanup on September 2014. Over the year the students also learned about water conservation, native plants, soils, composting and vermiculture and made a small worm bin for their school garden with their pre-school buddies. 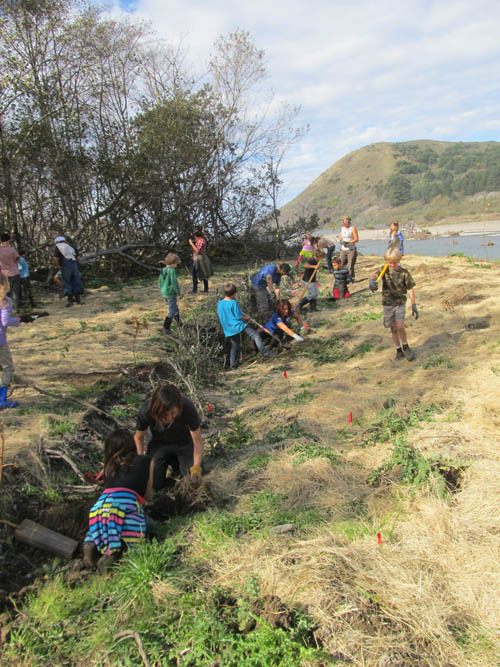 "The Mattole School's 3rd through 8th grade classes spent the year learning about coastal stewardship through the Mattole Youth Environmental Stewards Program. They started out the year learning about the problem of marine debris by watching synthetic seas, talking about creative re-use projects and participating in the California Coastal Cleanup. Throughout the year they learned in the classroom and field about leave no trace ethics for visiting public land, non-point pollution, riparian ecology, water conservation, endangered species, native plants and soils, intertidal ecology and groundwater. They also participated in a tree planting project in the Mattole estuary and propagated big leaf maple seedlings for future tree planting. At the end of the year the students talked about what they can do to continue to be stewards of the Mattole watershed." 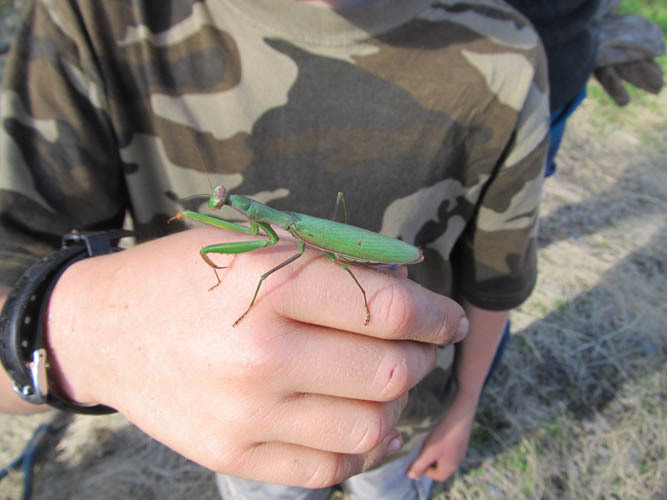 "Through the Mattole Youth Environmental Stewardship Program the 3rd through 5th grade students at Honeydew School and the Honeydew school homeschool group spent the school year learning about coastal and watershed stewardship. They started off the year with a class focused on the issue of marine debris and then participated in the 2014 California Coastal Cleanup where they helped pick up 25 pounds of trash with students from another school. Through the year they learned about non-point pollution, water conservation, groundwater recharge, leave no trace ethics, endangered species and how to restore healthy watershed processes. 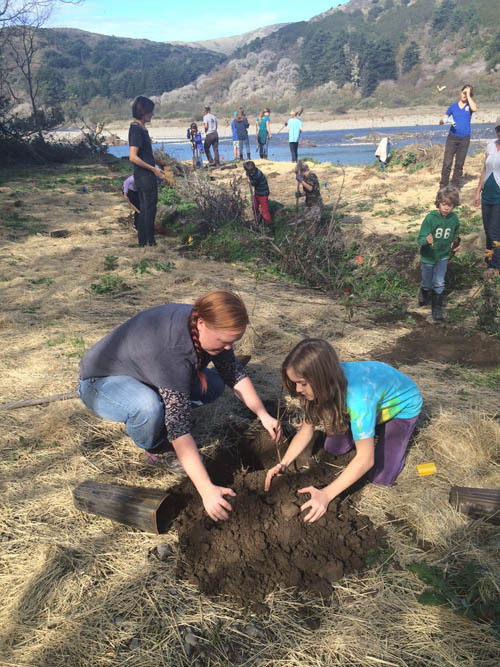 As additional service projects the students participated in a tree planting project in the Mattole River Estuary, helped propagate 100 big leaf maple trees for future tree planting projects and cleaned up additional trash on a field trip to the tide pools in 2015. Most of the Mattole Watershed is privately owned and these students really are the caretakers of the future coastal health. At the end of the school year the students talked about the different ways to be good stewards and painted a map showing how they would carry out their pledge." "The fourth grade at San Francisco Friends School has been deeply connected to service projects pertaining to the Coastal Steward program. We studied ecosystems and environments, learning about aquatic and terrestrial environments. We studied about food webs and food chains, learning about organisms that live in and around the California Coast. We keep a worm bin. We recycle and compost in our classroom everyday. We save scrap paper to use and reuse paper trimmings as bookmarks. Members of Surfrider.org visited our classroom to talk with us about watersheds, marine debris, and the importance of keeping our waterways clean not only on the coast but inland too. In November, we met with Jim Healy from the Golden Gate National Parks Conservancy to participate in a beach clean up at Ocean Beach. In February, we met with Kara Mirmelstein from the Golden Gate National Parks Conservancy at Lands End and piloted a program to help with restoration of the coastal headlands, planting over 200 native plant species and scattering seeds...We are so excited to be Certified California Coastal Stewards!" "The Monterey County Home Charter School spent the year studying ocean issues of pollution, debris, and the effects of ocean trash especially on marine mammals. We studied whales and otters, dug in the mudflats for clams, mussels, and worms, and visited the Elkhorn Slough to study birds...For our last workshop, students picked a marine animal to paint on a rock to remember how important their commitment is in the ongoing efforts to be California Coastal Stewards. Students pledged to continue to recycle, re-use, reduce and recover, to carpool whenever possible, to use both sides of their paper, and to turn off the water when brushing their teeth." "First we picked up garbage at Toro Park on our field trip. We learned about the animals there and then we decided to help the animals by cleaning up all the Easter garbage we found in the picnic area. "Tomorrow we are going to Palm Beach for a field trip. We are going to clean up garbage to help the ocean animals. "In our classroom we created a worm bin. We made it by cutting cardboard and making holes in the plastic tub. We added grass, plants, soil, lettuce, apples, strawberries, bananas, and artichoke scraps. Then we put the worms in. Then we sprinkled some water on top. We observed the food scraps decomposing and the worms ate them and made castings which makes soil. This helps the environment and the earth because we can use the good soil to grow flowers, plants, trees, fruits, and vegetables. "One other thing we did to become coastal stewards is we picked up garbage at our school grounds." "In addition to the conservation activities the students did at home, the Bay View students participated in a restoration project at Natural Bridges State Beach, pulling invasive ice plant and depositing it in the park dumpster. Also, whenever they went on a field trip, they picked up trash and deposited it in trash cans. The students used reusable water bottles. They talked with their parents and with the school custodian when they saw a leaking faucet at home and on campus. And they all took shorter showers and used less water in the bath (they reported this as very easy for them to do). When asked why these activities would help the ocean, the students discussed it among themselves and agreed that it would make the ocean cleaner for the animals that live in it, and they loved animals." "Carpinteria Middle School students, encouraged by its Ocean Guards group, has begun a recycling program for cans, bottles, paper and most importantly, our paper lunch trays. Students discovered that over 7,000 of these paper trays PER MONTH were going into the landfill and decided that this was UNACCEPTABLE! Large outdoor bins were put in place to collect the trays as well as bottles and cans. Indoor recycle bins (made from recyclable materials and recyclable themselves) were put into the classroom. "The Ocean Guards group has now been working on education and outreach regarding sustainable fishing practices. Armed with Monterey Bay Institute's sustainable seafood guides, students headed to our local grocery store to see how a consumer uses the guide to make appropriate choices. Additionally, they will travel to a local restaurant where they will peruse the menu for items on the "Best Choices" and "Good Alternatives" lists. They will discuss seafood procurement with the restaurant owner and investigate the issue from multiple perspectives (customer, restaurateur, fisherman and environmentalist). "We are very proud of our work to protect our oceans. Thanks for taking the time to read our stories." "My three classes of 6th, 7th, and 8th graders completed #1, #3, #5, #7, and #12 of the Coastal Stewardship Pledge [for Classrooms and Youth Groups]. For #3, our classes of 64 students have collected almost 450 pounds of trash from our schoolyard so this school year." "As part of a larger project in school we chose to do anything we could to help our environment and our water. So far in our school we have made PSA videos to inform people of the problem. We have also had a beach cleanup field trip with about 40 students that was a great success. Also as part of the Environmental Club at our school we have begun project to reduce our waste by composting and also recycling all paper that is usually wasted. We will continue forming more projects and following up the existing to help our environment here at Benjamin Franklin High School." "We have adopted our schoolyard. Each day we check the yard for any trash, and we dispose of it properly...[We] understand the negative impact of waste on our environment and our waterways, and we work hard to make sure trash is disposed of properly and recycled when possible, to minimize any impact. "We have a waste-free lunch program at our school. Students are encouraged to bring lunch in reusable containers. We use real plates and cutlery, and cloth napkins; all these items are washed daily and reused to reduce our waste. Lunch scraps are composted when possible. "We use the backsides of paper for drawings and scratch paper as much as possible. We not only use paper gathered here on our campus, but our parents bring in paper from their offices for us to use as well. "We have recycling bins in both the Primary classrooms for paper that can't be used as scratch paper. We also recycle cardboard and any recyclable containers for items consumed in the classroom. To make sure the items are properly recycled, our students help carry them from the recycling containers in their classrooms to the container on our property where our waste hauler picks up. "One of the central tenets of the Montessori educational philosophy is to instill in our students the necessity for stewardship of our earth and for respect for all living things due to their interconnectedness. We are pleased that we are able to also tie our responsibility to our environment and other living creatures into stewardship of our coast." 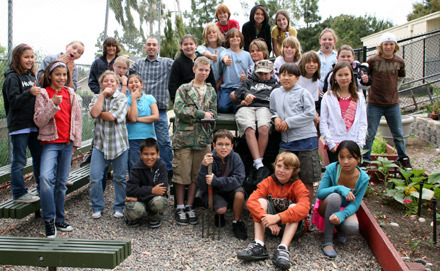 "My class [at Nobel Middle School in Northridge] has been doing many things during earth week such as doing a beach clean up, doing a trash audit for the school, and making a one-side paper bin. At the beach clean up, our class picked up pieces of trash and recorded them on a paper. The paper was from Heal the Bay and we used it to record what types of trash were picked up. Some of the trash that my group found included cigarettes, Styrofoam pieces, plastic pieces, and even a glove. We helped the environment during the beach clean up because we prevented trash from hurting marine animals. "We also did a trash audit of the school. On the outdoor stage, there were different trash bags for different types of trash. There were bags of classroom trash, nutrition trash, lunch trash, office trash, and recyclables. Each bag had a sign that showed how much each one weighed. Everyone got a paper with a chart on it and information about how many bags our school made every day. We had to fill in the chart with how much trash the school made in one day, in one week, and in one year. We found out how much trash Nobel produces by doing the trash audit. The numbers were very large. "In our classroom, some of the girls in my class developed a one-sided paper bin. The bin is used to hold any paper that still has one blank side. The paper inside is scratch paper. This way, we don't need to use a new sheet. I think that this is great because if scratch paper will get thrown away after being used, it doesn't need to be neat. The one-sided paper bin will help cut down the amount of paper that my class uses, thus helping the environment." "Mr. Victor Flake's fifth grade class at La Costa Heights Elementary School in Carlsbad, California dedicated this year to learning about taking care of their environment, vermicomposting, and composting. They set up a worm bin in their class and cared for it properly the whole year. They resurrected an old compost pile in the school's garden, and even got it to a temperature of an impressive 134�F! They each made a pledge that they would commit to doing five things that would take care of Mother Earth. They kept a log for over a month, and the winner received their own new worm bin! This was a very desirable reward, and many other kids will be starting one in their home. The kids made several changes in their daily habits; the top changes being turning off the faucet as they brushed their teeth, taking shorter showers, informing their family members about water saving tips, and recycling. The classroom kept a bin for all their paper and plastic recycling for the entire year. Mr. Flake is a dedicated environmentalist, and taught an impressive scope of lifelong habits and green philosophy that will reach far beyond this academic term. It's been a great year!" "I work with an amazing group of third graders at Sunset Elementary School in San Francisco who have taken the coastal stewards pledge. Not only do students recycle and compost, they give up their recess time to help compost food scraps in our cafeteria and paper towels in the bathrooms. They maintain an area outside our school around our native plant garden to be free of trash. Students bring waste free lunches on field trips and to school. Students have visited our local beach, Ocean Beach, four times this year collecting trash and studying the coastal ecosystem. Each student completed a research report on their favorite marine/beach animal and included actions they could take to help protect the habitats of the animals. I am very proud of the commitment these students have made to help protect our oceans and beaches."